Decks are a beautiful way to beautify your yard. 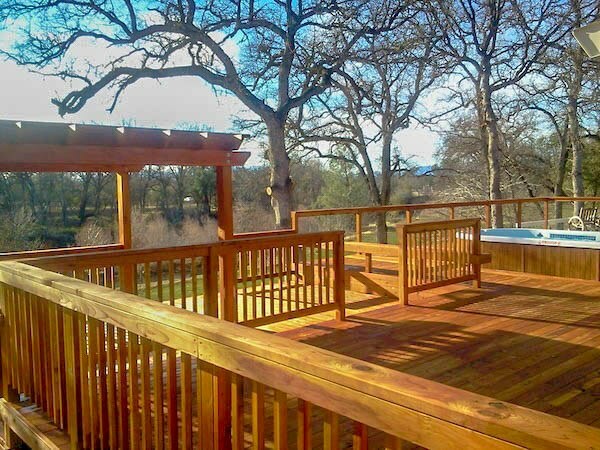 Greg owner of Palo Cedro Pool & Spa has been a general contractor for over 30 years now. Beautifying ones yard is his expertise. He loves his work at Palo Cedro Pool & Spa because it allows him to do what he does best….making yards into oasis. Palo Cedro Pool & Spa has been serving the North State for over 14 years now. We stand apart from our competitors because you are working with Greg the contractor/owner directly. He makes himself always available for his customers and he can do anything else your heart desires other than installing your pool. Decks, gazebos and other outdoor structures are some of what Greg enjoys building most. Call us today, or check out our gallery of outdoor structures and decks!